Peter's life is in the crapper. The two men he hates most are becoming far more prominent in his life. 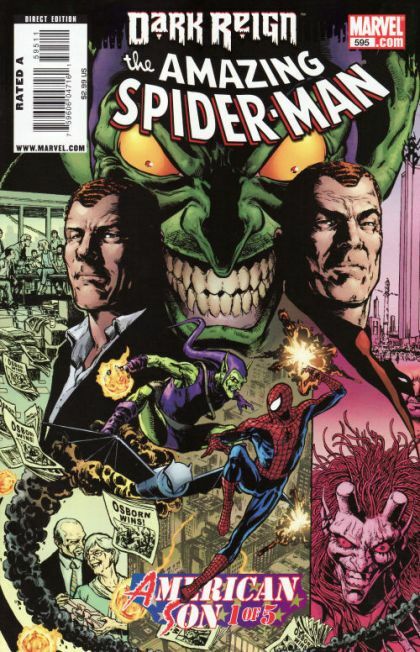 Not only is Norman Osborn head of H.A.M.M.E.R. and father of Harry Osborn, he's the invited dinner guest of J. Jonah Jameson Jr., Peter's former boss and current mayor of New York. Can Peter manage to make it through the dinner for the sake of his aunt, the betrothed of J. Jonah Jameson Sr.? If he does, can he deal with the aftermath of Norman's job offer to Harry?